Called Lunar IceCube, the mission is one of several public-private partnerships chosen under NASA's Next Space Technologies for Exploration Partnerships (NextSTEP) Broad Agency Announcement for the development of advanced exploration systems. Among the first small satellites to explore deep space, Lunar IceCube will help lay a foundation for future small-scale planetary missions, mission scientists said. In addition to providing useful scientific data, Lunar IceCube will help inform NASA's strategy for sending humans farther into the solar system.The ability to search for useful assets can potentially enable astronauts to manufacture fuel and other provisions needed to sustain a crew for a journey to Mars, reducing the amount of fuel and weight that NASA would need to transport from Earth. 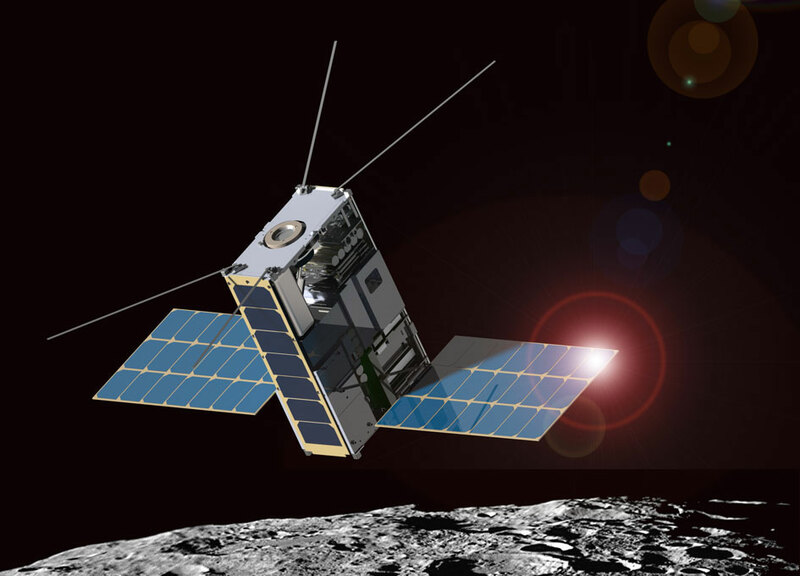 Morehead State University in Kentucky is leading the six-unit (6-U) CubeSat mission, with significant involvement from scientists and engineers at NASA's Goddard Space Flight Center in Greenbelt, Maryland, and the Massachusetts-based Busek Company. Under the university-led partnership, Morehead State's Space Science Center will build the 6-U satellite and provide communications and tracking support via its 21-meter ground station antenna. Busek will provide the state-of-the-art electric propulsion system and Goddard will construct IceCube's only miniaturized instrument, the Broadband InfraRed Compact High Resolution Explorer Spectrometer (BIRCHES). The instrument will prospect for water in ice, liquid, and vapor forms from a highly inclined elliptical lunar orbit. 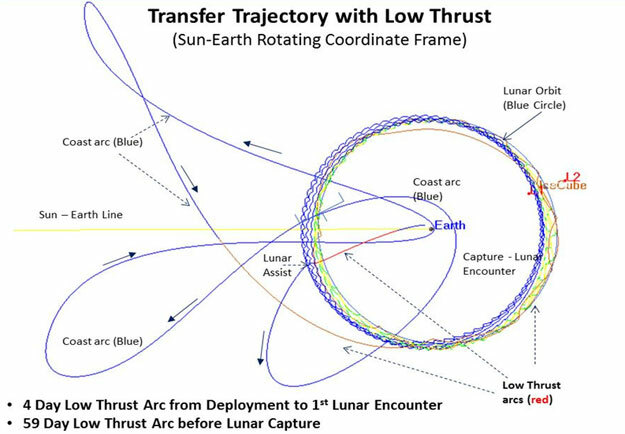 Goddard also will model a low-thrust trajectory taking the pint-size satellite to lunar orbit with very little propellant. "Goddard scientists and engineers have deep experience in areas that are critical to interplanetary exploration," said mission Morehead State University Principal Investigator Benjamin Malphrus, explaining why the university teamed with Goddard. "The significant expertise at Goddard, combined with Morehead State's experience in smallsats and Busek's in innovative electric-propulsion systems, create a strong team." "Lunar IceCube is a key pathfinder experiment for future small-scale planetary missions," said Goddard scientist Avi Mandell, who is assisting his colleague, Dennis Reuter, in the development of BIRCHES. "I believe the future looks bright for science on CubeSats, due to their fantastic versatility. Once we understand how to design these platforms, the possibilities are endless as to what we can do with them." 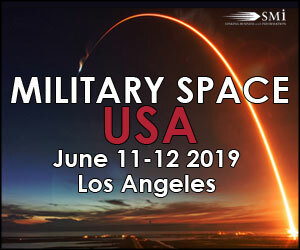 In recent years, NASA and other government agencies have invested more research and development dollars into developing new miniaturization technologies that will support more robust scientific investigations from these platforms. "A lot of people are interested in answering scientific questions with these small devices," explained Bob MacDowall, a Goddard scientist who is serving as a member of IceCube's science team. "I'm betting that we already have about 100 deep-space CubeSat concepts floating around," Clark added. "This is where things are headed." IceCube will prospect for lunar volatiles and water during its six months in lunar orbit. While the NASA Jet Propulsion Laboratory's Lunar Flashlight will locate ice deposits in the moon's permanently shadowed craters, IceCube's BIRCHES will investigate the distribution of water and other volatiles as a function of time of day, latitude, and regolith age and composition. Its study is not confined to the shadowed areas. Although other missions, such as the Lunar Prospector, Clementine, Chandrayaan-1, and Lunar Reconnaissance Orbiter, discovered various signatures of water and hydroxide, their instruments weren't optimized for fully or systematically characterizing the elements in the infrared wavelength bands ideal for detecting water, MacDowall said. The high-resolution BIRCHES, on the other hand, was specifically designed to distinguish forms of water -- ice, vapor, and liquid, he said. 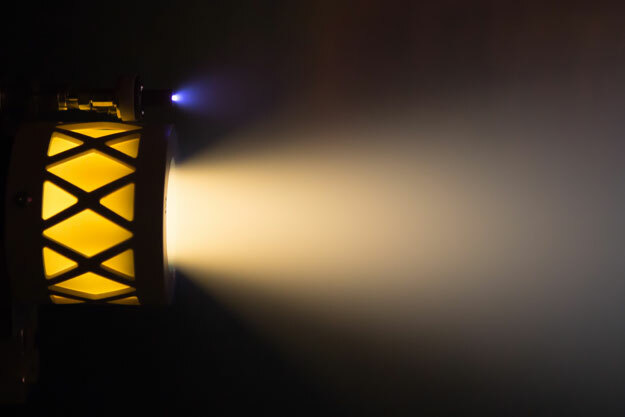 Although the instrument traces its heritage to instruments flying on NASA's Origins Spectral Interpretation Resource Identification Security Regolith Explorer and New Horizons missions, the team said miniaturization challenges remain. For instance, BIRCHES will carry a 1,000,000-pixel detector that will sense infrared signals emanating from the lunar surface. To record those signals, instrument developers will have to design a read-out channel linking each pixel to an amplifier that then bolsters the signal. "All of that is a pretty chunky piece of hardware," not particularly conducive to fitting inside a satellite no larger than a large cereal box, Mandell said. The team also needs to ensure that sensitive electronics are protected against radiation -- a significant concern in deep space. "I have no doubt that these challenges are solvable," Clark said. But before the Lunar IceCube can begin its science operations, it will have to get to the moon first. 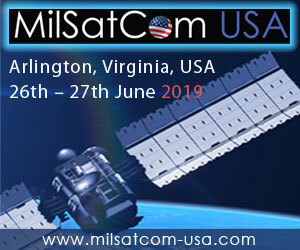 The satellites selected for EM-1 will be installed inside the adapter, which connects Orion to the upper stage of NASA's newest rocket -- the SLS, a 32-story launch vehicle designed to ferry humans and gear around the moon and beyond. Once the rocket reaches a certain position on its way to the moon, ground controllers will send a command to release the payloads, which will follow their own trajectories to their final destinations in and around the moon. Busek's RF Ion BIT-3 thruster, along with a carefully designed trajectory modeled by Goddard's state-of-the-art trajectory-design software, will get IceCube to its destination in about three months, said Dave Folta, the Goddard orbital engineer who has developed advanced tools for modeling lunar orbits for spacecraft equipped with both chemical and low-thrust propulsion systems. "It doesn't matter the size of the spacecraft, I still have to do the same functions when designing a trajectory," Folta said. "It doesn't matter how much this guy weighs, either. They want me to get to this to the moon." The journey will begin after deployment-- and will be another challenge given the miniscule real estate set aside for propellant. Ground controllers will fire Busek's miniaturized electric thrusters -- the world's only propulsion system powered with an iodine propellant -- driving the spacecraft along a path that uses the gravity of the sun, Earth and moon, looping around Earth a couple times and then to its destination. Because the thrusters operate electrically using small amounts of propellant, an orbital path that takes advantage of gravitational acceleration from the Earth and moon is vital, he added. "While low-thrust systems minimize fuel, they can't accommodate a rapid change in the orbit's velocity, making EM-1's outbound path impossible for us," Folta said, explaining the mission's circuitous route. "Our propulsion system will allow us to naturally capture a lunar orbit. The force of our low-thrust system is analogous to an ant pushing on the spacecraft over many days. It's an efficiency thing. That's the whole point of this low-thrust trajectory," Folta said. If selected to hitch a ride on SLS, Lunar IceCube will be among the first fully operational small satellites to deploy and gather scientific information in deep space, said Pam Clark, the mission's science principal investigator at Goddard. Although CubeSats are evolving rapidly, scientists so far have confined their use to investigations in low-Earth orbit. This event would also signal a paradigm shift in CubeSats and interplanetary science. While awaiting a final decision on what will fly on EM-1, much work remains. "The real breakthrough stuff in CubeSat technology will now happen," Clark said. "That's what I love about CubeSats. They will help us revolutionize the way we do deep-space science and I'm absolutely delighted that Goddard will play a role." 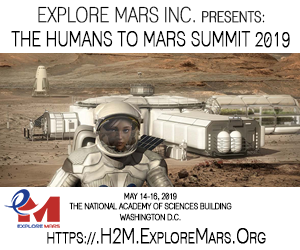 Editor's 10 August note: We have been contacted by NASA regarding several errors in the original NASA press release which was posted here verbatim. Pam Clark, the mission's science principal investigator has now moved to NASA JPL and that JPL now has a role in this mission.